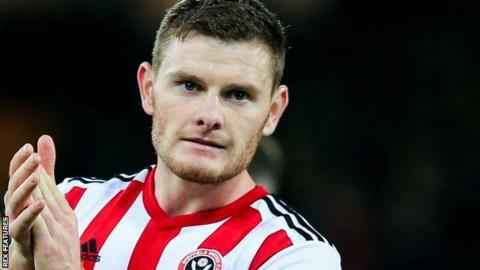 Sheffield United defender Jack O'Connell has signed a new deal with the Championship promotion hopefuls until the end of the 2022-23 season. The 24-year-old centre-back has played 130 games for the Blades since joining from Brentford in July 2016. He also made 100 consecutive starts before picking up a hamstring strain earlier this month. "He's been a big part of the past and will play a big part in the future for us," Blades boss Chris Wilder said. United are second in the Championship as they bid for a return to the Premier League for the first time since 2007.